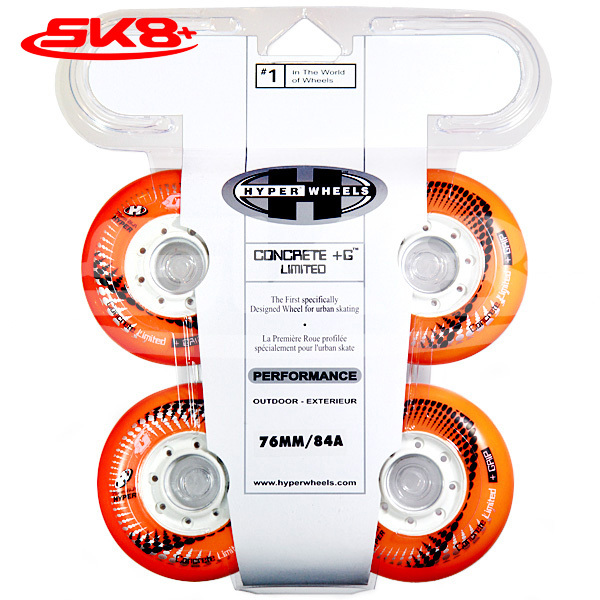 Top » Catalog » Accessories » Wheels » Slalom Wheels » HYPER Wheel Concrete +G 84A Orange Login? 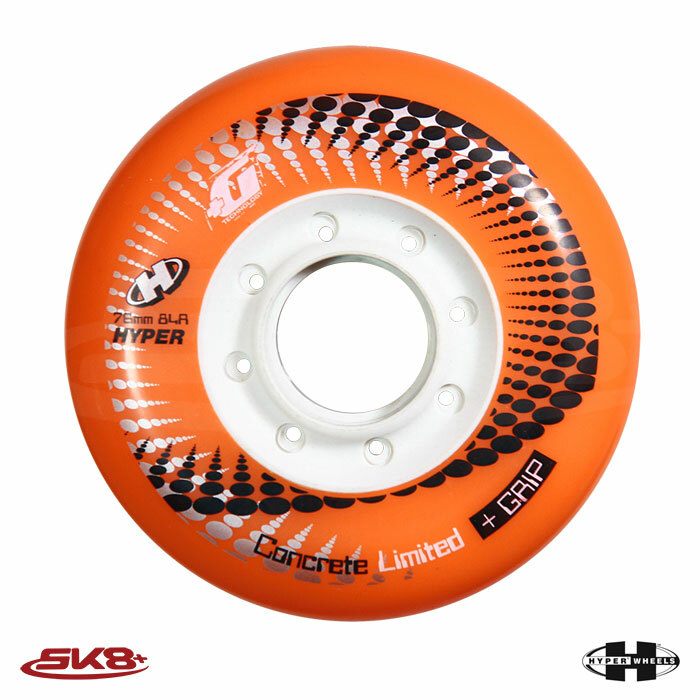 The most known wheel company from the U.S. Surfaces: All rough and smooth outdoor surfaces. 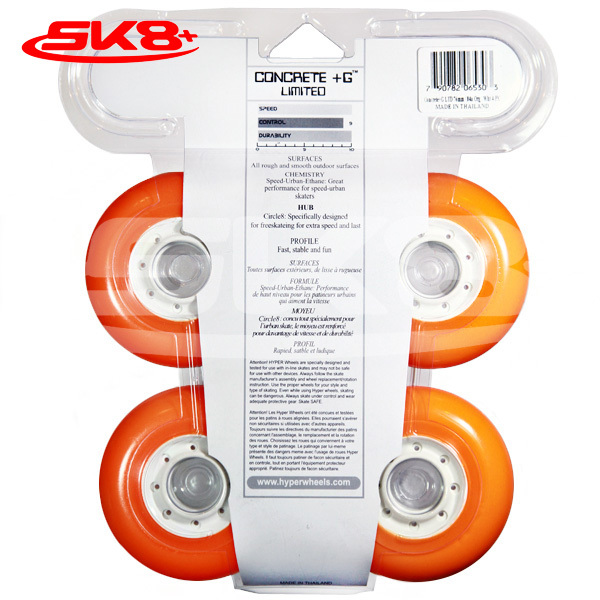 Chemistry: Speed-Urban-Ethane: Great performance for speed-urban skaters. Buy this item and earn 935 points valued at ฿93.